Here's two photo's of BJ Watling's defensive technique. This picture is of his normal block shot. You can see that he has a very loose bottom hand. The bottom of it is so far forward of the bat that you can't see the grip. Bottom hand is loose on the bat handle. 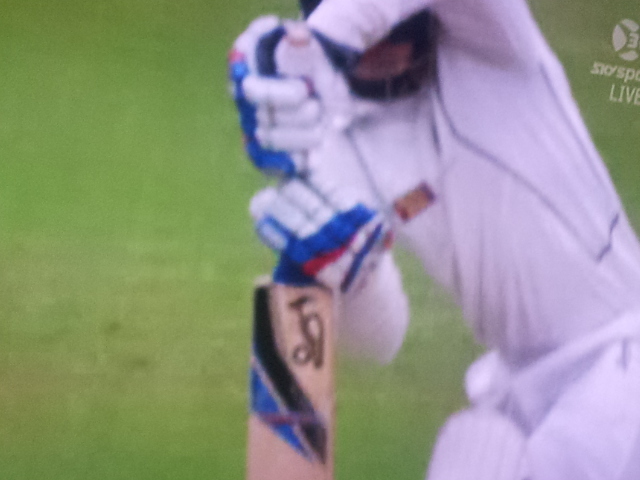 This next one is the ball that he edged and was dropped at slip. Here you see that his bottom hand is tightly onto the bat. Using hard hands to defend. I'm not really a batting coach, but this is something that young batsmen should learn. If you are going to play a defensive shot, make sure you keep your bottom hand loose. 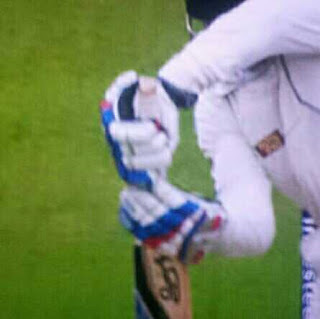 It means that if you edge it, then it won't carry to the slips.